IN Y OUR CORNER WITH SENATOR DIZOGLIO ~ A Column Just for Readers of The Valley Patriot! 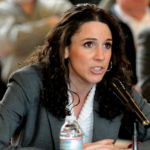 EDITOR’S NOTE – This month, Methuen resident Diana DiZoglio was sworn in as a State Senator in Boston, replacing Senator Katy Ives of Newburyport. Ives chose not to run for reelection last year to spend more time with her family. We want to thank Senator Ives for her six years in the senate and for writing an exclusive “In Your Corner” column for the Valley Patriot every month to inform our readers of what is happening on Beacon Hill with your tax dollars. 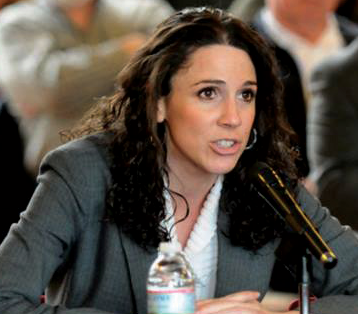 This month, we are honored to have former State Representative, and newly sworn State Senator Diana DiZoglio picking up where Senator Ives left off with her own column every month. While other newspapers give you their “version” of what your state legislators are doing on your behalf, we believe it is important that our readers get to hear that information from the newsmakers themselves, unedited and unfiltered by an editorial newsroom agenda. We look forward to Senator DiZoglio’s column each month as she navigates the 191st General Court, and we know it will be filled with substance that will inform and educate you about your state government. First off, let me start by wishing everyone reading this a Happy New Year. I am so excited to get to work representing the wonderful people of the 1st Essex District in the Massachusetts State Senate. I also want to thank Kathleen O’Connor Ives for working so hard on behalf of this district over the last six years and to express what an honor it is to follow such a strong, accomplished woman in this seat. Having already represented a good portion of this district in the House of Representatives, I know of the challenges and opportunities found in this large, diverse district. The job of a senator is to bridge the gap between local concerns and government solutions, whether those concerns are related to tax relief, helping create good-paying jobs, lowering the cost of living, or helping seniors and veterans. In order to make progress on these issues, I have sought to cross party lines to help craft bipartisan solutions as your independent voice on Beacon Hill. Looking for the best Merrimack Valley solution — the best outcome for the people who live in the places I love and made me who I am today — is job number one for me. As we start the 2019-2020 legislative session, I’m hitting the ground running on Beacon Hill advocating for policies that will help businesses grow in the Merrimack Valley, protect equal rights for all, and increase transparency in state government. From day one, my goal in public office has been to improve the lives of the people who live and work here and make the Merrimack Valley such a promising, dynamic place. That work will continue in the state senate, a forty member body where my voice — and yours — will be amplified. On that note, I look forward to appearing in the pages of The Valley Patriot each month and I invite you to reach out to me with any input on how I can voice your opinions, wants and desires on Beacon Hill. While we’re still waiting on a permanent office assignment in the state senate, my temporary office number is (617) 722-1604. My new senate email is diana.dizoglio@masenate.gov and I encourage everyone to reach out to me at any time. There has been great progress made over the last few years here in the Merrimack Valley and together, we will continue to make our region the best place to live, work and learn in Massachusetts.